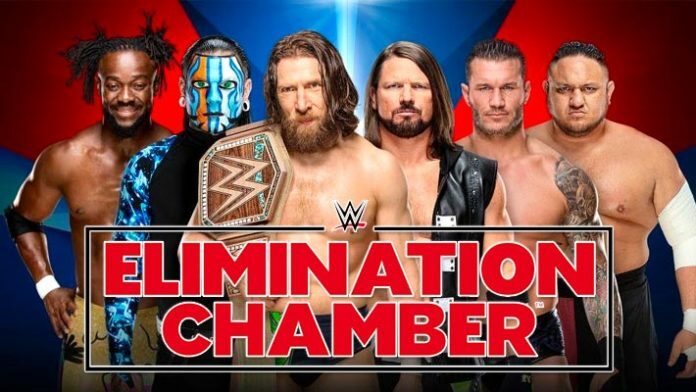 The updated betting odds for the WWE Elimination Chamber pay-per-view have been released by sports betting service Bet Online. Bayley & Sasha Banks are the favorites to win the WWE Women’s Tag Team Titles. WWE Champion Daniel Bryan is the current favorite to win the Elimination Chamber Match. The only title change expected is for Finn Balor to beat Bobby Lashley to win the Intercontinental Title. The betting odds are historically accurate indicators of who will win each match. The favorites to win are listed as – while the underdogs are listed with +.